I hate that I just started and finished watching this show this past week. Why did I not give this show a chance when it was on the air? Why did it take me two years post its cancellation to jump on the Hart of Dixie bandwagon and fall in love with the people of Bluebell? And why the hell did I deprive myself of Wade Kinsella for so many years? The show follows Dr. Zoe Hart (Rachel Bilson), a girl from New York who dreamed of being a heart surgeon. After not receiving a fellowship she needed, she ends up taking on a job as a general practitioner in small town Alabama. There, she discovers that the half of a medical practice was left to her in the will of the man who recruited her years before at her graduation. The show continues to show Zoe as she grows accustomed to life in a tiny town and Southern customs and hospitality. It was, admittedly, tough to watch at first. Not because of the plot or anything, but man, you just really felt for Zoe at the beginning. Or maybe it was just me. People weren't very warm and welcome to her at the start, based on her attitude and lack of knowledge for how things work in Bluebell. But never fear, because things always work themselves out. I loved Zoe's character progression throughout the show and the surrounding cast to make the people of Bluebell who they were. Especially Wade Kinsella (Wilson Bethel). This show will make you laugh and cry and lust over a fictional handsome devil with a sweet car and my favorite character progression of the whole show. Am I still talking about Wade Kinsella? You betcha. I blew through this show in a week because I couldn't get enough of the characters and the sometimes wacky plot line. Plus, the slow burn romance...ugh, my heart could barely handle it. Was it all worth it in the end? Definitely. 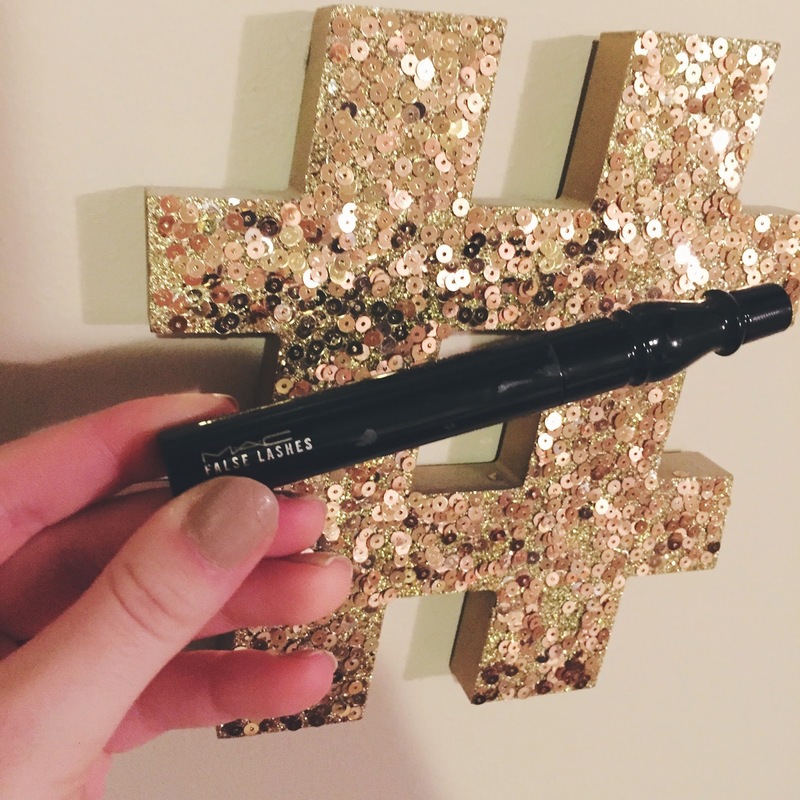 I know I've talked about this mascara before, but truly, it's one of my favorites and I feel compelled to talk about it again. The formula isn't this outstanding long-lasting black formula that keeps my lashes mega volumized and curly. However, as a regular mascara, it's good! It doesn't clump up and it lengthens my lashes pretty well. I love this mascara mostly because it's the only mascara I've ever been able to use on my bottom lash line without having it transfer onto my undereye area or flake off onto my skin. This is even including waterproof mascaras, like the Tarte Lights, Camera, Splashes (which literally used to give me raccoon eyes halfway through the day, so disappointing). My girl Katy Perry performed this at the Grammys and I just about died. My crops were drying up. I needed new KP music just like I needed oxygen. And, naturally, my girl delivered. I'm obsessed with this song. It's constantly stuck in my head in the best way possible. I'm always humming it, or more often than not, singing the wrong words because I take after my father. Luckily, I'm not performing on a stage every weekend singing the wrong words to popular songs...I digress, this is such a fun jam and I hope it's still alive and well come summer because I can see myself bopping to this with the windows down in the heat of June. I loved Hart of Dixie!! Were you ever Team George just for a tiny bit or were you Team Wade from the get go? I admit I was Team George for a bit but then I jumped on the Team Wade bandwagon and never looked back. I was in love with Wade's southern accent and I remember watching a Wilson Bethel interview expecting him to have a southern accent but he doesn't! His irl speaking voice is so different, it really threw me off haha. My least favourite season was season 3 because we had to suffer through 17-18 episodes of Zoe/Joel (sorry Joel) but the finale of season 3 (the last 30 seconds of it) where Zoe says she's going to fight for them was the best thing ever! I was like 'YESSS!!! FINALLY!!!!!'. Plus, Wade Kinsella in a suit 😍 and I loved the friendship that formed between Lemon and Wade. Also, the season 4 finale musical number was out of the blue but it was so good! I've been looking for a similar show since HoD ended but I haven't been able to find one I like as much. Do you know of any easy-to-watch light hearted tv shows like Hart of Dixie? I was Team George for a split second when they first met, but as soon as Wade appeared on the screen I was Team Wade the whole entire way. OOOOh, maybe I should watch an interview of his sometime to hear his regular voice. But will it ruin the Wade Kinsella facade former for me?!? !